The Information Silo—Keep It Up or Tear It Down? | Transformation Point, Inc.
You’ve been staying on top of all the latest management strategies and operational techniques, and now you’ve set your sights on siloes — specifically the ones that exist in your company that you suspect are negatively impacting productivity. Before you send out the wrecking ball to tear them down, you might want to rethink the idea. While it’s true that a heavily siloed company can suffer from communication and collaboration issues, there are times when having defined sectors are both necessary and in the best interest of the business. 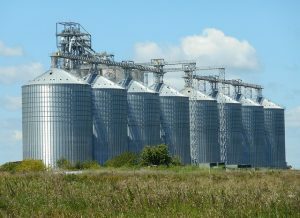 Some departments need a silo structure to be able to function effectively as well as maintain a level of anonymity and authority, said Sarah Greesonbach in Fighting the Silo Effect: Organizational Engagement for Siloed Teams. Siloes also help promote a sense of ownership and pride as well as keeping accountability and responsibility within that specific group, noted Neil Smith in To Build Your Business, Smash Your Silos—a “the buck stops here” approach. As for decision-making, anyone who has attempted to get a large group to reach a consensus knows how bogged down the process can get. With siloes, it can move forward faster, since groups need only decide on what is relevant to their operation, a point made by Simon Moutter CA, CEO of Spark New Zealand in Can the silo mentality benefit a business?. “Within a silo it is much easier to define and implement an initiative or outcome,” Moutter said, although he did acknowledge that upper management must ensure the decisions made by each siloed department be consistent with corporate goals. Siloes can also be useful in helping new ideas or initiatives accepted across the entire company, according to Damon Centola in a University of Pennsylvania study, The Social Origins of Networks and Diffusion. It’s the principle of starting small: getting one group behind a change, than letting them “spread the word” throughout the organization to gain widespread support. As for siloes being communication obstacles, Greesonbach pointed out that those organizations that are “too flat” can actually be counterproductive from a culture-building standpoint. Picture, if you will, a large meeting with several hundred people. What typically happens? Small groups form, discuss topics they have in common, and then little by little break apart and re-form with new members. 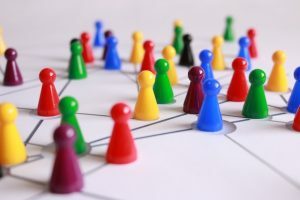 The information flow continues—not among everyone simultaneously but in stages, group by group—an example of how a mini-siloed company can actually result in improved networking and strengthened relationships. So does that mean you need to re-silo your setup? Not necessarily. When it comes to siloes, too much of a good thing can be also too bad for business. While the individual departments allow for the concentration of expertise, if the information remains only within that silo’s walls, so to speak, other departments that could benefit from that knowledge have no way of accessing it. The walls prevent cross-pollination of ideas that could generate new and better ways of doing things, resulting in a “we do it this way because we always did it this way” type of rationale. And while department managers should make it a priority to monitor the functioning of their own siloes, keeping their vision “blinkered” means they often don’t see what is happening elsewhere in the company or how their silo-specific decisions are impacting the rest of the organization, pointed out Smith. Before you can decide which siloes to retain and which ones to remove, you need to evaluate their impact on the organization. Like Goldilocks assessing the belongings of the three bears before making her choice, you want to find the “just right” level of siloes for your business. Do the siloes function well internally? Do the siloes function well as part of the overall operation? Do communication “bridges” exist between each silo to allow a good flow of information? From an internal standpoint, each silo should have good communication between each member, vertically and laterally. Beware of siloes-within-siloes, where established groups become hidebound in their thinking or entrenched in their own hierarchy. 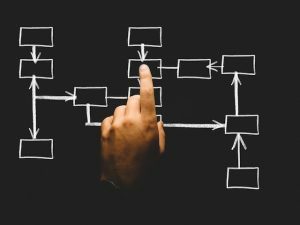 If a specific department shows signs of slipping in terms of productivity or issues with morale, it might be time to do a silo-check to determine where the problem is and how to correct it. Individual siloes should also understand their place and role in the “big picture”—not only understanding how they contribute to the productivity of the company but also what the corporate goals and objectives are, so the department managers can adjust their individual operations and communicate them to their team. Redundancy is another problem with siloes, said Matthew Toren in 4 Warning Signs Your Team Is Working in Silos, and How to Destroy Them. Without a clear definition of what each silo is expected to deliver and why, you could have several siloes engaged in the same type of work—a waste of time, energy and employee productivity. Finally, each silo needs to build bridges, so both information and people can be shared. Don’t rely on collaborative relationships developing organically, said Toren. Instead, formalize the process, structuring it into the workflow through interdepartmental teams and multi-discipline projects. Other strategies include facilitating networking opportunities to encourage relationship-building, and company-wide meetings to establish a “we” culture and sense of belonging.